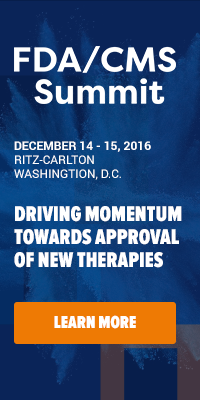 Below is an article from AJMC - a media partner for the upcoming Summit for Oncology Management. To learn more on topics like this, sign up for email updates. Via AJMC: Although advancements in medical science have greatly improved overall life expectancy and the ability for many to survive a cancer diagnosis, a recent study predicts that cancer care alone will cost the American health system $157 billion by 2020. It is well known that a major driver of these surmounting costs is the rising cost of chemotherapy and other treatments, in addition to the variation in how these treatments are used across the health care system. However, there are several ways that providers, payers, and patients can work together to establish a more medically and financially effective cancer care model that also reduce costs and inefficiencies in the system. For many cancers, there are multiple drugs that can be equally effective in treating a patient’s condition, but the price of these treatments can differ in cost by tens of thousands of dollars. Currently, oncologists are responsible for purchasing their own chemotherapy drugs, processing and maintaining them in a specialized pharmacy-like set up, and then administering them to their patients. Insurers then reimburse the oncologists for the cost of the drugs plus a margin to defray the price of maintenance and administration. Since oncologists receive a share of their income from the margins on the drugs they prescribe, insurers assert that there is an incentive to prescribe the pricier drugs, even when lower cost options of equal effectiveness exist.